Handmade and beautifully carved, and finished in semi matt antique white bedside Cabinet. 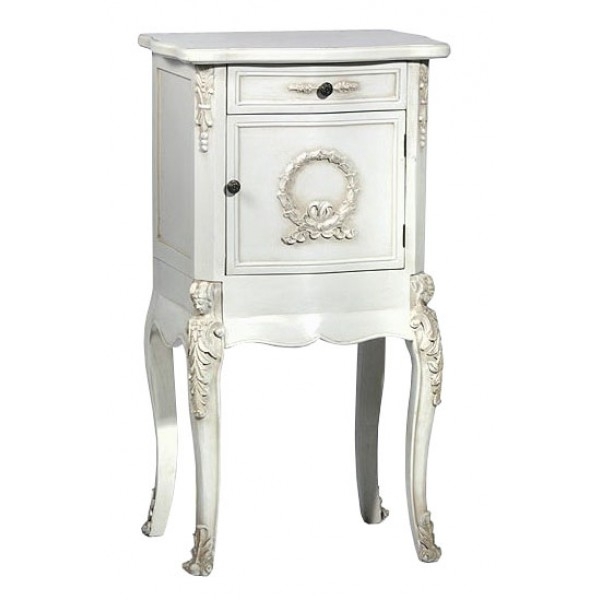 The Boudoir Provence Antique White Bedside Cabinet has long legs that keep it stable whilst offering ample room for clearing away any dust or dirt. Due to the nature of hand made furniture, small imperfections are normal, and part of the overall shabby chic look.